But here’s where modern technology comes to the rescue. Reading an e-book on a tablet may not be your favorite way of reading (I know I personally still prefer the printed word) but for reading in a foreign language – especially one you don’t know that well – it’s the way to go. I personally use an iPad and I’ve been known to use all of the best known reading apps from time to time – including Kindle, iBooks, and Nook. One reason for this apparent fickleness is simply the availability of the e-book I want. But as of right now (and I reserve the right to update this opinion in the future) Kindle is the clear winner. 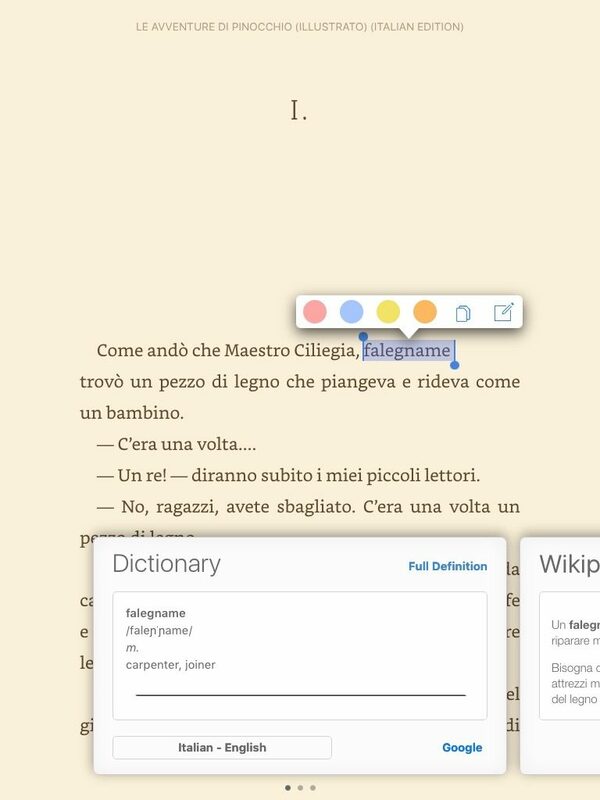 That’s because Kindle now includes a built-in Italian to English dictionary and a link to Bing’s translator service! What could be easier? Reading is now a breeze and fun! 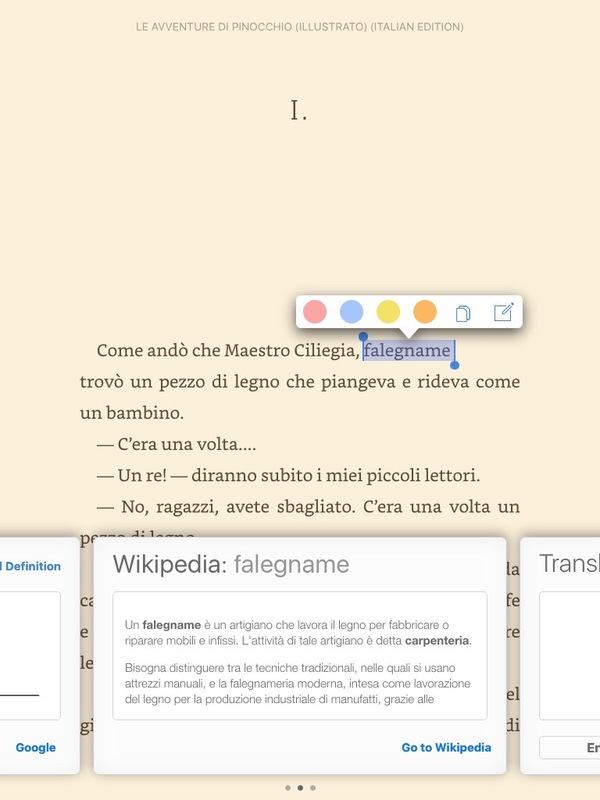 Here’s an example of how the app works using the Italian classic Pinocchio. Kindle app for iPad has a built in connection to Bing Translate so you can highlight whole paragraphs and instantly see a translation. In addition, some books, like the above referenced Pinocchio, also have an audible version! That means you can listen as well as read. Still depending on your level, reading is tough (Pinocchio is actually quite advanced). What to do? Here are my personal recommendations to make reading a fun part of your continuing education in Italian. Try to always read at your level or just above. Don’t bother trying to read Dante. It’s way too advanced for you. It’s too advanced for some native Italians! You want to read things that will challenge you, but not make reading painful. If it’s painful, you probably won’t learn anything, even if you manage to keep doing it. Look for books translated into Italian from English. Now why wouldn’t you want to read a native Italian book? You do! Just not at first. 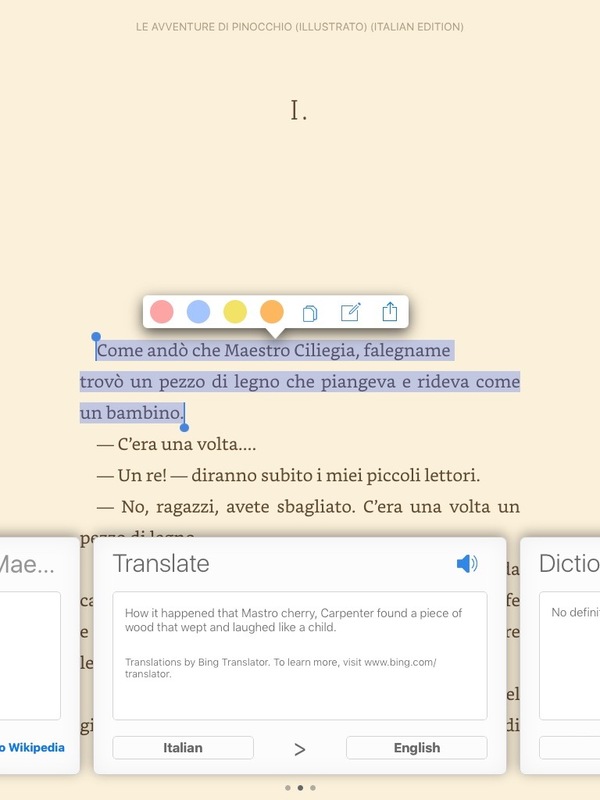 Native Italians will use references to Italian culture and idioms that you won’t be familiar with. You’re struggling right now to learn new words so let’s not confuse matters. Get the words first, and it will be easier to understand the cultural references later. Search for more! Here’s a list of fiction authors with Italian language editions on Amazon. If you like non-fiction, Alberto Angela writes some cool books about Roman history in Italian. They are very descriptive so they’re great if you want to focus on learning new adjectives. If you like Dan Brown, you won’t find his Italian editions for Kindle but here they are for iBooks. 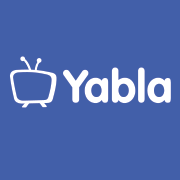 Want more recommendations? I’ve set up an Amazon Store for My Italian Diary. As I discover new books, I’ll be adding them there, so you might want to bookmark it. Do you know any good books in Italian? Do share! Post your favorites in the comments! If you don’t mind, let us know what level you think they’re best for. 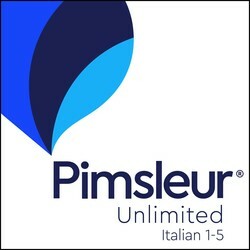 This is a great post, grazie! I am reading (very slowly) the Italian edition of the first Harry Potter book, and while I only have it in print form, it’s a little easier because I know the English version so well. I have my Google translate app open on my phone as I read and make my way slowly through. Loved your suggestions here.